Gigabit VPN router delivers high-speed, secure and reliable network performance for employees at the office or on the road. OpenVPN server support allows clients running on employees' devices to connect using two-factor authentication. WAN failover allows your business to continue its network operation even if one of its WAN connections fails. 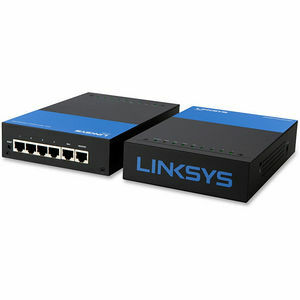 Dual-WAN load balanced aggregates bandwidths of both WAN connections to achieve a higher Internet bandwidth. Integrated firewall supports URL filtering and access rules that allow an administrator to further regulate the traffic within the business network based on the services (i.e. TCP/UDP ports) and source/destination IP addresses. 802.1Q technology keeps resources in different SSIDs/VLANs separated, while allowing specified traffic to traverse between VLANs with inter-VLAN routing. Intuitive web administrative interface allows small business owners to deploy and manage the routers without professional IT staff onsite.